Councillors share surgeries at Cobbett Road Libarary on the third Saturday of the month, from 10.30am to 12.30pm (except August and December). Home visits by appointment. Ivan White was born in Bitterne and educated in Southampton. Although he worked in the Middle East for 10 Years he has always maintained a home in the City. He has worked for the electricity supply industry all his working life. Firstly with the local electricity board but primarily for Pirelli Cable Works Ltd where he was employed for nearly 35 years. He was first elected to the City Council in 2004 as a ward Councillor for Bitterne Park and has continuously represented this ward until this day. His mother also represented this ward and was the City Mayor in 1977/1978. In May 2007 until May 2012, with the exception of a short period in 2008, he became the Cabinet Member for Adult Social Care and Health. He still maintains an interest in respect of care and health particularly within the City. 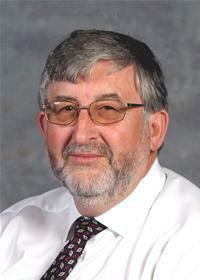 Ivan became the 791st Mayor of Southampton on 15 May 2013, following his term as Sheriff of the City. The Mayor’s supported Charity for 2013/14 is Southampton Women's Aid. Ivan is keen on sport and has always supported Southampton Football Club.